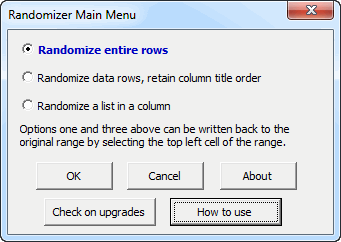 The Randomizer add-in for Microsoft Excel will quickly and easily create randomized copies of your lists. It is compatible with Microsoft Excel 2007 to 2019 and Office 365. Use it to randomize lists of employees, teams, or tasks! You can have one list of people and next to it a list of tasks. 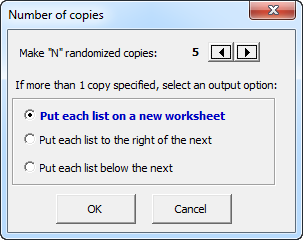 Use it to randomize both lists so that the assignment of tasks to a person is complete random.